Is Loyola Marymount University Losing its Catholic Identity? A recent survey of faculty raises questions about the Catholic identity of the Jesuit university in Southern California. This dearth of Catholic faculty will soon worsen, because the most senior faculty are almost all Catholic. In the Department of Theological Studies as well as in philosophy, Catholics make up all four of the most recent retirements as well as the two most senior faculty. In the history department, two Jesuits recently retired as well as a religious brother. In mathematics, four of the five most senior members are Catholic. In classics, in the College of Business Administration, and in political science, Catholics constitute two of the three most senior members. Simply to maintain 24 percent would require that every retiring Catholic in the university be replaced with another Catholic. Does this trend matter? LMU has never been better academically, financially, and aesthetically. Under the leadership of its first non-Catholic president, David Burcham (recently replaced by Timothy Law Snyder, a Catholic), LMU strengthened its distinctive identity by establishing the Academy of Catholic Thought and Imagination, recruiting nine new Jesuits, and launching the Center for Catholic Education. In these respects and others, the first non-Catholic president left LMU more Catholic than when he became president. Should Catholic universities only hire Catholics? No. Catholic universities are better and richer as universities, indeed as Catholic universities, because of non-Catholics. Indeed, in some cases non-Catholic faculty contribute to the distinctive mission of the university to a greater extent than do many Catholic faculty. Just as advocates for greater diversity are not suggesting that there should be no white males teaching on campus, so too I am not suggesting that non-Catholics should be excluded. It is good that non-Catholics work at Catholic universities, but to maintain a distinctive identity and mission the percentage of Catholic professors cannot mirror secular universities. You might compare a Catholic university to a walnut salad. Almost all salads have lettuce and dressing and some nuts, but what makes walnut salads distinctive is having a large number of nuts of a particular kind. If you have a walnut salad, and you remove a single walnut, and replace it with a bit more lettuce, it remains a walnut salad. You can repeat this replacement a number of times and still have a walnut salad. However, if this trend continues, eventually you will not have a walnut salad at all. Similarly, you cannot have a Catholic university in any meaningful sense unless there are a sufficient number of Catholics on the faculty. Is “hiring for mission” maintaining Catholic identity? Some people believe that we need not be concerned with the religious identity of faculty because we “hire for mission.” What really counts is not whether a person is Catholic, Protestant, Jewish, or atheist, but what “contribution the candidate might be expected to make to the university’s Catholic intellectual tradition and its distinctive mission as a Jesuit-Marymount institution,” as LMU search committee guidelines put it. But what does it mean to contribute to the mission of the university? At my faculty orientation at LMU, an invited presenter informed us “the mission means whatever you want it to mean.” I’ve heard this interpretation of the mission often, including from the mouth of a former dean. A mission that means anything is a mission that means nothing. Our University community is comprised of students, faculty, staff and administrators with various religious beliefs, as well as those who are guided by moral values not necessarily grounded in any religion. We view this as a valid expression of a Catholic university taking seriously its mission to both reflect and engage the society that is its context. We are indeed a university composed of people of all religious faiths, as well as agnostics and atheists. But this pluralism does not set us apart as a Catholic university, any more than does having a recreation center, a coed student body, or a swimming pool on campus. If our pluralism is what makes us Catholic, then Cal State Dominguez Hills is also Catholic. The University community, under the direction of its leaders, needs to develop and enunciate clearer statements that celebrate religious pluralism rather than tolerate it, through words and gestures that demonstrate that no members of our community are guests in their own house because of their non-Catholic status. … These efforts can only help to supply people with the needed language that can move them forward in articulating a Catholic identity, and healing their sense of second class citizenship because they are not Catholic—or “Catholic enough”—to engage the conversation. The committee made these assertions in the context of the university president, the dean of liberal arts, the chair of philosophy, the chair of theological studies, and 76 percent of the faculty being non-Catholic. It is hard to see how non-Catholics both hold all of these positions and at the same time could be considered guests in their own house. You might as well claim that white males are second-class citizens in the United States Senate. The Campus Conversations Report states, “People expressed a desire for consistency and alignment of our University practices with the social justice teachings of the Church.” The suggestion is that the social teaching of the Catholic Church is a promising locus of agreement for a pluralistic faculty that nevertheless shares a common mission. Unfortunately, the faculty is not consistent in its desire that the university practice the social justice teachings of the Church. Virtually no one opposes social justice in the abstract, but this nominal agreement evaporates immediately when the term “social justice” is given substantial content. Catholic social justice, as understood by the US Jesuits in “Standing with the Unborn“ and by Pope Francis, includes loving and seeking equal protection of the law for all human beings, born and unborn. By contrast, a public letter in the September 30, 2013 edition of the campus newspaper the Loyolan signed by more than 150 LMU faculty and staff (including professors of Theological Studies) asked the university to include elective abortion in its employee insurance coverage. A shared vision of social justice cannot be a substantive basis on which to build consensus at the university, since the foundation of the social justice teachings of the Church is the inherent dignity of every single human being regardless of age, race, disability, or birth. Finally, the “service of faith” appears in LMU’s mission statement, but the service of faith is virtually invisible in the Campus Conversations Report. In the Catholic tradition, unlike traditions inspired by Immanuel Kant, religion cannot be reduced to ethics, much less to social justice. Indeed, the Faculty Climate Survey spoke about a “majority secular liberal point of view” on campus. Thus, both the Faculty Climate Survey and the Campus Conversations Report provide some evidence that hiring for mission, as currently practiced without any system of “quality control,” does not secure a distinctive Catholic identity for the university. Does the religious identity of faculty matter? On one view, religious belief informs, inspires, directs, and influences teaching and scholarly work in both direct and subtle ways. Religious belief (or lack of religious belief) shapes antecedent attitudes about reality, God, human persons, our destiny, happiness, what we can and cannot know, and a myriad of other matters of crucial importance for higher education. The opposite view, that religious belief is a matter of indifference or, more often, a detriment to teaching and scholarly work, is the dominant view of secular universities. If this view is correct, then it is hard to see the point of having a Catholic university at all, just as we don’t need Catholic laundromats. Faith is unimportant for hiring mechanics at Loyola Automotive, but how can it be irrelevant at Loyola Marymount, if we are really dedicated to “the service of faith”? Many professors argue in favor of hiring more women or faculty of color to serve as role models for female and minority students. The same argument can be made about role models for believers. The students at Catholic universities, including my own, remain largely Catholic. When I arrived at LMU in 1998, 62 percent of the students were Catholic, and currently about 50 percent are Catholic. Boston College has a student body which is 70 percent Catholic, and Notre Dame has 85 percent. If it helps women to have female professors, and minority students to have professors of color, why is it irrelevant for Catholic students to have Catholic professors? The faith of the faculty also makes a difference in terms of course offerings. After the last two Jesuits left LMU’s Department of Political Science, the course entitled “Catholic Political Thought” was dropped from the bulletin. Loyola Law School boasts faculty focusing on Jewish law and Islamic law, but nothing at all can be found on their website about Natural Law. It is unusual for non-Catholics to be experts in matters Catholic, so as the number of Catholics on the faculty declines, we can expect the number of courses focused in whole or in part on Catholic subjects to decline. If the status quo continues, what will happen next? As the number of Catholics on the faculty and in the administration continues to decline university wide, faculty who want to be at a place with a distinctive identity will leave. If they are Catholic, they might leave for the Catholic University of America or the University of Notre Dame. If they are Jesuit, they might leave to teach in Africa or England, or to become principal of a Jesuit high school. If they are Protestant, they might go to Calvin College. As these faculty leave, the secularization of the university will accelerate. Given that the most senior faculty are almost all Catholic and only 24 percent of the total faculty are Catholic, LMU has in recent years been hiring Catholics at a percentage below that of their representation in the general US population. 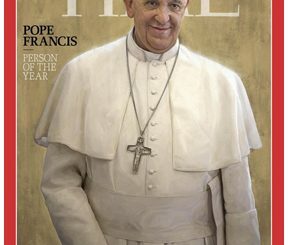 When qualified Jesuits or lay Catholics of faith apply for positions, they will increasingly be rejected by hiring committees made up by faculty with no interest in or even hostility toward the Catholic tradition. More and more, students of faith will feel as if they cannot publicly articulate their beliefs lest they suffer penalties from unsympathetic professors. Non-religious students will never hear the best case against the views that they have. Some students of faith will transfer, suffer in silence, lose faith, or compartmentalize faith from intellectual engagement. As a university loses its religious identity, fundraising will be damaged. In his book Who Really Cares, Arthur C. Brooks notes that on average religious people are more generous financially than non-religious people. As these donors realize that what the university says about its identity does not correspond to what the university does in faculty hiring and institutional decision making, these benefactors will stop donating. When my parents attended Seattle University, Jesuit universities required all students to take a philosophy and theology course each semester. The philosophy and theological studies core requirements at LMU were recently reduced from two classes to one class. “Why privilege philosophy and theology?” critics will ask. The original rationale of these requirements (theology is helpful for salvation; philosophy is intrinsically valuable as well as needed for theology) will increasingly lack plausibility in the wider university community. In the next core revision, philosophy and theology requirements will be eliminated. About the same time, the Department of Theological Studies will also be renamed the Department of Religious Studies to reflect the fully secular outlook of the faculty. In order to reflect what is really happening in the university, mission statements will have to be altered by deleting words such as “the service of faith” and “commitment to Roman Catholicism” from university and college mission statements. Deletion of these few lines will have no effect on the day-to-day running of the university, as they had no effect for years previously. Symbolic ties will probably be the last to be cut. Already, the change in our university logo from a depiction of Sacred Heart Chapel to the current logo, below, is not without significance. Our current logo contains, we are told, subtle religious symbolism. Indeed, the symbolism is so understated as to be completely unnoticeable to the untutored eye, a perfect icon for the future of LMU. At some point, the crucifixes will come out of the classrooms. Sacred Heart Chapel will need to move into greater conformity with wider university culture. The Eucharist will be permanently removed so that the space can be used for theatre, concerts, and yoga. The final argument about religious identity will be about whether distinctively religious art should remain. A compromise will be struck whereby the pieces considered offensive—such as the central crucifix and the statue of Mary—are removed, but the stained glass windows remain intact, a silent reminder of a long lost tradition. How could we enhance Catholic identity? Renewal of Catholic identity is possible. First, we need to keep track of, as we do with race and gender, the religious identity of incoming faculty. We will then be able know whether the loss of Catholic faculty is stabilizing or getting even worse. Some people think it is illegal to ask about or consider a candidate’s faith. LMU’s former president and constitutional lawyer David Burcham disagrees. We can, like Pepperdine University, in our advertisements for faculty reserve “the right to seek, hire, and promote persons who support the goals and mission of the institution, including the right to prefer co-religionists who are active members.” If we are serious about the service of faith, it is time to lift the self-imposed ban on such hiring practices. Incoming faculty candidates, prior to on-campus visits, can be invited to respond to the mission statement of the university in writing as well as at length in their interviews. At this stage, candidates of whatever religion who do not manifest strong support of the university’s distinctive religious mission and identity can be rejected. In order to say “yes” to a distinctive identity, hiring committees and university administrators must say “no” to any candidate who will not contribute to Catholic mission. In a short time, departments will learn to send more suitable candidates. Evidence of strong advocacy for the mission can become a necessary condition of advancement in rank and tenure. Following the example of Notre Dame and Boston College, the administration can create endowed chairs for several departments that highlight the Catholic intellectual tradition, perhaps a John Courtney Murray, SJ Chair in Political Thought, a Dante Chair in Literature, a Lonergan, SJ Chair in Philosophy, a Copernicus Chair in Astronomy, or a Mendel Chair in Biology. Focused hiring can seek faculty on public record as strong advocates for the Catholicity of the university. Similar positions can be created for younger candidates. Catholics could be treated as women and persons of color are now treated in the hiring process. The administration can encourage departments to lure distinguished Catholic professors from other universities. When a Catholic professor no longer teaches at the university, special efforts can be made to replace this person with a co-religionist. Another possibility is to create new positions in “Catholic Studies” with the successful candidates appointed jointly with traditional departments. To the question, “Who counts as Catholic?” I would answer—the way the University of Notre Dame has answered—by self-identification. If candidates volunteer their religious identity, it is fair to also then ask—as we do of other candidates—how various parts of their background relate to teaching, research, and fit with the distinctive mission of the university. There are Catholics for whom religious faith animates virtually everything that they do, and Catholics for whom faith is entirely irrelevant to what they do. We need more Catholics of the first kind. My hope is that the next generation of my family will be able to attend a wide variety of Catholic universities truly animated by “the service of faith” and an “institutional commitment to Roman Catholicism.” Many good people in the LMU community, such as Vice President for Mission and Identity Father Bob Caro, SJ and more than 5,000 alumni, parents, and donors voicing their concerns by signing petitions at RenewLMU.com, are working hard to make this a reality. My prediction is that the process of secularization will be completed within a generation. 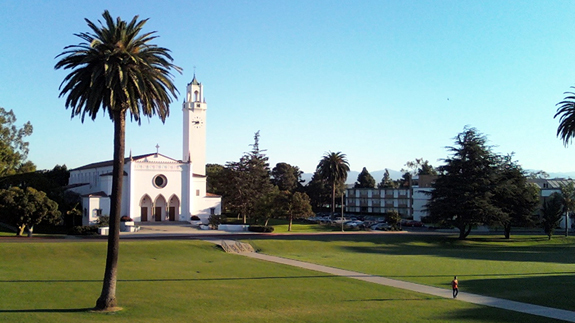 LMU is not a parish, seminary, or convent, we sometimes hear. But the only real risk is becoming one more of the numerous schools which have already entirely lost their Catholic identity: Loyola College Montreal, Marymount Manhattan College, Stevenson University, Webster University, College of Santa Fe, Daemen College, Lynn University, Manhattanville College, Marist College, Maryville University, Mercy College, Nazareth College, Medical College of Wisconsin, St. John Fisher College, the University of Medicine and Dentistry of New Jersey, and the New York Medical College. It is magical thinking to believe LMU is immune from losing its identity. To do nothing, to continue the status quo of religious indifferentism in hiring, is to eventually join the list of formerly Catholic institutions. Higher education does not need one more flavor of vanilla.